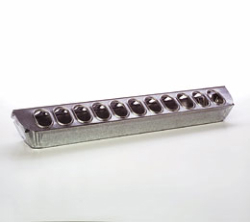 The individual holes minimize waste. Top slides off for easy access. Made of heavy gauge galvanized steel and feature rolled edges for safety.